Some friends and I were recently talking music (what else is new? ), one of us mentioned Power Pop, and someone else not familiar with that genre asked what that was. I muttered something about the combination of sweet vocal melodies and barre chords, somebody else starting dropping names of bands who played in the style . . . But if we really wanted to make our friend understand Power Pop, we should have just played him some songs by The Shoes. Better yet, we should have directed him to buy Double Exposure, the new 2-CD collection of Shoes demos. The 30 tracks are workbook recordings of songs that would appear on the band's two seminal albums from the late 70s/early 80s, Present Tense and Tongue Twister. The Shoes had every right to be as popular as Cheap Trick, the Cars, et al, but somehow they never scored any hits (at least, to my knowledge). Their melodies are sing-songy but with just enough of an edge to them – and the backing tracks are all power chords and sharp hooks. It's like Cheap Trick but more introspective, the Cars but not as slick – four shy and nondescript guys from the Midwest who had a love of melodic music and a knack for creating great pop songs. 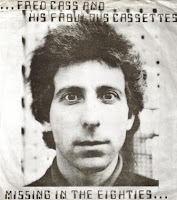 It had been a long time since I'd listened to The Shoes (prior to getting this set), and I have been listening to a lot of Guided by Voices of late; hearing these demos tells me that Robert Pollard studied this band closely when forming his melodic sensibilities and his band's sound. The Shoes songs make me feel like I'm at the roller rink on a Friday night, slow dancing with my new girl, both of us with feathered hair and me with a comb in my back pocket. But this is not novelty music; it is some of the best Power Pop you'll ever hear. 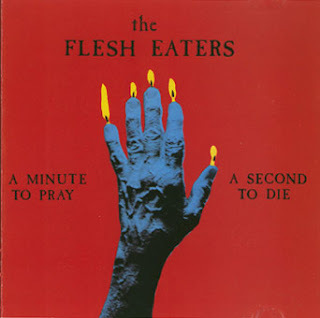 These demos, while not vastly different than the versions of the songs that appeared on the official records, are just raw enough to make them worth hearing for a Shoes fan. Double Exposure in on the Black Vinyl label, and despite being a new release is pretty hard to get your hands on. Make the effort. Sunday September 30, 7:30 p.m. Approximately eight months from their last release (Groundhog Day to Halloween to be exact) The 17th Pygmy has indeed released Ballade of Tristramâ€™s Last Harping their second full length CD in less than one year (somewhat different than the bandâ€™s previous 17 year hiatus between releases, eh?) Formerly and perhaps to be known again someday (you never know) as 17 Pygmies, the seventeenth pygmy (Jaxon Del Rey) decided that The 17th Pygmy (are you still following?) was a name that better reflected the â€˜60s Psychedelic -70â€™s Classic Rock direction of the new recordings. Think The 17thÂ Floor Elevator or perhaps The Exploding Plastic Inevitable Pygmy. Consisting of original 17 Pygmies and Savage Republic member Jaxon Del Rey, Jeff Brenneman (formerly of White Glove Test) on Guitars, returning classical Guitarist and now vocalist Meg Maryatt, former Swivelneck and White Glove Test member Tony Davis on Bass, and Drummer Dirk Doucette from you guessed itâ€¦White Glove Test, The 17th Pygmy have combined their unique talents to create a musical tribute to the style and inventiveness of some of their favorite music, namely â€˜60s Psychedelia and â€˜70s Classic Rock. Detailed Twangâ€™s in need of an mp3-posting breather, so hereâ€™s an ordered list of 100 records to go out & get in the next five minutes. Astute readers will recognize similarities to the Agony Shorthand 100; since publication of that list, thereâ€™ve been a few reshufflings and a couple of substitutions near the bottom. The quality level remains! 1. Hereâ€™s something I just wrote for Paste online thatâ€™sÂ not likely toÂ be in the running for DaCapoâ€™s Best Music Writing of 2007. 2. Iâ€™ll be MCâ€™ing Gonerfest 4 – Thursday, Friday, and Saturday nights. More info here. One of theÂ dates is shaping up to be â€œcharacter nightâ€ – see post from 9/20. No, Iâ€™m not dressing up as Steve Malkmus. 3. For 20 seconds of grocery store reading, check out my two reviews in the October issue of Spin Magazine. The Shocking Pinks album is wonderful (itâ€™s on DFA) and could pose as a lost Flying Nun recording circa-1989. Have I mentioned how hard it is to write a 90-word review? This is in fact the first release by Artful Dodger prior to signing to Columbia and to big shot management team Leber-Krebs. Artful Dodger never really made it, but were big favourites as they really hit the spot with their special mix of Power Pop /Byrdsian jangle and upfront raspy Faces rock. All 4 albums are worth seeking out â€“but I especially recommend their first two ( self-titled and Honor Amongst The Thieves) as well as their later album as a four piece on Ariola (Rave On). 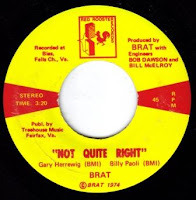 Not Quite Right finds the band at the boogier edge of the spectrum, although the intro is reminiscent of Wayside and thereâ€™s enough melodicism to elevate them way above being average boogie merchants. Long time Away is simply gorgeous and is very different to the version found on their first album. Dear Friends: Sorry to have been away so long. I'm back and am here to tell you about Anne Briggs. I don't care about the British Folk Revival, the phenomenon that gets mentioned in every Mojo issue about 20 times, the thing that you have to hear about every time a new Devendra Banhart (sp?) or Joanna Newson record comes out. But Anne Briggs, while a British folkie to be sure, is a something else altogether, somebody too original and sublime to be cast in that pot. She is a field hippy with a punk attitude, like a PJ Harvey singing ancient folk ballads. She prefers to sing a cappella, and has never been crazy about being recorded. She dislikes being photographed, and when caught on film she generally looks like she needs a bath and a hairbrush, and like she might be considering punching the photographer. Her 1971 album The Time Has Come was reissued this year, and this record is what I'm really writing about here. On this record Briggs allowed herself to be accompanied by some light guitar playing, and on the two instrumental tracks she plays some rare stringed instrument herself. This is a spellbinding album, and something that should be known as one of the great folk records of all time, instead of an album only a select few have heard. The guitar playing is similar to that of the acoustic work on Led Zeppelin III, and Anne's vocals are something that can't really be described – they just need to be heard. This is Nick Drake meets Judee Sill, it's acoustic Led Zeppelin with a female vocalist, it's timeless music performed by an extraordinary artist, it's Anne Briggs . . . and it's the reissue of the year, as far as I'm concerned. Also highly worthwhile is the Anne Briggs compilation, A Collection, which compiles much of her best a cappella material. The one I would skip is Sing a Song For You, on which Briggs is backed by the band Ragged Robin – just not the same caliber of material as is found on Time Has Come and A Collection. Hmpf, I thought I’d have a lot more to say about PopKomm this year, but it was almost spectacularly uneventful. The trade show was put into larger quarters, which meant there were larger stands, but except for Sony/BMG, which had a huge, almost empty area all done in sparking white, none were terribly notable. There were almost no freebies (this is usually when I recharge my cigarette-lighter supply, but no luck this year), and almost no gimmicks, although the light-up martini glasses some Swedish company was using for their drinks were cool. Overall, it seems attendance at the conference and trade-fair was down, and a number of countries whose export agencies are usually quite visible — most notably Ireland — were missing. For those of you who are interested, the export agencies are, obviously, government bodies in charge of promoting goods made in a given country to potential customers in the outside world. In a number of countries, particularly in Europe, pop music is perceived to be one of these potential exports, which means that a band or performer working abroad can, at least theoretically, get some support from the export agency, since any success will mean money for live shows and/or records coming into the country. It’s a good idea, and has worked well for Holland and France, to name just two. In fact, the main event during PopKomm was one that didn’t happen there: Steve Jobs came to Berlin to hold a press conference announcing the iPhone partnership with T Mobile, and to talk about iTunes’ German store. (Hey, Steve, what about that Apple Store that’s been supposed to be opening here for the last five or six years?) This event is such a natural to have happen at PopKomm that I can only wonder why it didn’t. Has PopKomm got so little visibility in the international tech and music worlds that nobody at Apple knew about it? Is it visible but considered unimportant? It’s inconceivable that an event like that would ignore SXSW, the folks I was working for at PopKomm, because events like this are where the early adopters are — not to mention that iTunes is a music-biz behemoth. Which brings me to yet another gripe, although not a PopKomm one, for the most part. Once again, the list of attendees with their contact information was on a CD-ROM, which is a bad idea because it’s so easily scanned by spammers, and once again that CD-ROM was Windows only. So was the DVD given away in the bags, called See the Music! Berlin’s Music Industry in a 3D City Model, developed for music-in-berlin.de by Berlin Partner, the Berlin KommunikationsForum e.V., the Senat’s Department for Economics, Technology, and Women’s issues, the Senat’s Department for Urban Development, and funds from the European Regional Development Fund. Any of whom could have walked around the room and noticed the disproportionate numbers of Macintosh computers in use, and most of whom, I would think, would also know that it doesn’t cost any more to put together something like this in a hybrid form. A complete and total waste of money the city doesn’t have. Which I’d probably also be saying if I could play the damn thing. As always, I skipped the live music in the evenings and went home to rest up for my 7-hour shift at the SXSW stand during the day. PopKomm never brings in anything I want to see anyway (hell, I’m not interested in 90% of the stuff at SXSW, either; aging does have its up-side), and this year was certainly no different. in light of the current threat to t e s l a ‘s existence, we call upon artists, audience, and colleagues, to communicate to the state of berlin what the city risks to lose with this decision. learn more about the current situation at http://www.tesla-berlin.de , write a letter or an e mail to mr andre schmitz, the state secretary for cultural affairs, and please remember to send a copy to t e s l a , as well, for our documentation. you will find the necessary addresses at the end of this mail. rather than generic protest letters, we particularly encourage qualified statements on the meaning and importance of media art, on the need for venues for artistic production, presentation, and reflection, on support for media art in berlin, and on t e s l a ‘s role in both a local and international context. in the coming months, we will increase our efforts to attain support from the state of berlin for this branch of the arts, and we hope that this action will make it clear that a real need and a broad interest exists. we thank you for your support. we hope that this campaign will reach those responsible for cultural politics and demonstrate to them the vital need for a competent center for art and media in berlin. please forward this call trough your mailing list. please address any questions to moritz von rappard (pr and press) at 030. 247 49 788 or public@tesla-berlin.de. I gotta say, I wish them well, but I’ve been here long enough to suspect this protest will be given polite attention and then ignored. Fan Etiquette: Are The People Who Love Your Music Ruining Your Bandâ€™s Reputation? Theyâ€™re generous, theyâ€™re consistent, theyâ€™re givingâ€¦and most of all…they love your music. Theyâ€™re your fans and they come to every one of your live shows, fork out money for cover charges, CDs and t-shirts, bring your band gifts, throw you house parties, and spread the word of your music on the internet and beyond. Your fans are the single most important ingredient to the success of your band. Without them, youâ€™d be rocking out in your Auntâ€™s basement to an audience of noneâ€¦well, maybe her cat. But there can be a dark side to the hoards of happy humans drunk on your future #1 hits. Sometimes the folks barreling in to see you play, or flooding your websites with their online presence are causing more harm than good to the reputation of your band. Rude behavior, message board flaming, compulsive sticker-ing and flyer-ing, may all seem like helping to your flock of followers but to club owners, industry and those newly interested in your music, they may seem like trouble-makers, belligerents and vandals. It may be simply a case of over-exuberant fan zeal. Your fans think theyâ€™re preaching the gospel of your band to anyone with eyes and ears: by dropping your postcards all over town like a bird with irritable bowel syndrome, by filling up strangers email in-boxes with bulky MP3s and HTML photo-heavy notices about how much you rock, and by yelling your bandâ€™s name at the top of their lungs during another bandâ€™s set like a parrot with Turretâ€™s Syndrome. These unsolicited over-promotionsâ€¦albeit well-intentionedâ€¦are hard for the average person to separate from your bandâ€™s own promotional efforts and may not be appreciated in the way they were intended. On the other hand, it may be that your fans are so revved up by the love of your music that theyâ€™ve become arrogant, aggressive and just plain out of control in any arena (or cyber place) your band inhabits. At any rate, you may find that you need to dial these folks back a bit to create a environment that is fan-friendly without comprising your bandâ€™s opportunities. The following are a few tips that will help you to guide your supporters in their quest to be adamant fans without allowing them to turn into an obnoxious, rowdy, gang of rabid baboons. 1.) Communicate With Your Fans—A lot of problems can be eliminated by simply setting up a line of communication between your band members and your fans. For instance, if you know that a particular club forbids setting around flyers, postcards or other promo materials, post it on your website with the upcoming show info-blast. Set guidelines for your band and for each individual show and let your fans know that they need to follow these simple rules or theyâ€™re no longer permitted to attend live gigs and to post on your cyber message boards. A little information can go a long way and your fans will be happy that you let them know what they can and canâ€™t do at any particular show. 2.) Learn From Experience—Sad but true, often the best way to learn whatâ€™s not appropriate at shows is for inappropriate things to happen. When fans begin their overblown behaviors, benign-intentioned or not, you will learn by the reaction of the clubs, the industry and your other fans whatâ€™s okay and whatâ€™s not going to fly. A good example is thisâ€¦placing bumper stickers on club walls may be encouraged at some places but forbidden at others. The first time you get a call from a red-faced bar owner screeching through clenched teeth that his menâ€™s room walls have to be repainted, youâ€™ll know that itâ€™s time to email your fan base and let them know to leave their reserve of band stickers at home when the band plays that club again. In another example, it may not occur to your band that certain fans are behaving rudely to club personnel or to your other fans, at your shows, until someone makes you aware of it. At that time, you may need to email your naughty fans and let them know that certain bad attitudes are unacceptable at shows, and on your message boards, and that fans who canâ€™t be pleasant will not be invited back. 3.) Friends And Family Are No Exception—As awful as it sounds, often times a bandâ€™s family and friends are the most out of control and obnoxious at showsâ€¦and on the web. Maybe itâ€™s because theyâ€™re more emotionally invested in the band and its members, or maybe because the musicians forget to remind their loved one about fan etiquette. You and your bandmates may think itâ€™s a given, but some of the biggest jerks, idiots, and rebel rousers at gigs are your loved ones. It doesnâ€™t matter itâ€™s the bass playerâ€™s ten year-old brother to the drummerâ€™s 60 year-old dad, you donâ€™t want to be banned from your favorite showcase venue because granny kicked the bouncer in the shin. Donâ€™t be afraid to sit your friends/family down and spell out the live show/internet rules for your band. Sometimes you canâ€™t control the fans you donâ€™t know, which makes it all the more important than ever to control the fans you do. 4.) Lay Down The Law—Once you become aware of the "problem" fans, itâ€™s time to explain to them what they can and cannot do at your gigs and on your website. Before banning anyone from visiting the bandâ€™s shows and sites, try sending out a polite, but firm, email with some specific guidelines and a serious warning that the next step will be cutting these bad elements out of the bandâ€™s loop. Itâ€™s important to try not to make the email too harsh, as it may insight further acting up. So, just deliver the message in a casual way, explaining that their actions are hurting and not helping the bandâ€¦a fact that they honestly may not realize. Honestly, you may need to give it some backbone so that your jerky fans really understand that their jig is up. If youâ€™re having trouble with someone you know wellâ€¦a particular friend or family memberâ€¦a phone call or face-to-face meeting might better do the trick. No matter how the message is executed, itâ€™s important to let your fans know that certain behaviors will not be tolerated by the band under any circumstance. Most fans would rather shape up that be cut out of all of the fun, and the bandâ€™s reputation will be safe from troublesome followers for the time being. Itâ€™s true that fans are a bandâ€™s biggest asset. But left uncontrolled they can also be the biggest liability as your band takes on the responsibility and reputation for the antics that its fans pull at live shows and on websites. Like crazed leprechauns, full of mischief, each fanâ€™s silly stunts and nasty attitude problems will eat away at your bandâ€™s good name with tiny bitesâ€¦like a school of piranha in a stream eating a full sized goat down to the bone in secondsâ€¦until your band is left, a former shell of itself, wandering your town trying to figure out why you canâ€™t get booked and no one visits your website. Itâ€™s not a good sign when you see a tumbleweed blow through your music career. Nip it in the bud now. Control your fans behavior. Trust me; youâ€™ll be glad you did. Sheena Metal is a radio host, producer, promoter, music supervisor, consultant, columnist, journalist and musician. Her syndicated radio program, Music Highway Radio, airs on over 2,400 affiliates to more than 126 million listeners. Her musiciansâ€™ assistance program, Music Highway, boasts over 10,000 members. She currently promotes numerous live shows weekly in the Los Angeles Area, where she resides. For more info: http://www.sheena-metal.com. Author sheenametalPosted on September 23, 2007 Categories hollywood, los angeles, sheena metal, Sheena Metal's The Music Highway, syndicated column, syndicated radio show16 Comments on Fan Etiquette: Are The People Who Love Your Music Ruining Your Bandâ€™s Reputation?